In Cambodia, Prime Minister Hun Sen has held power since 1998, a reign characterized by systematic looting, political patronage and violent suppression of human rights; when opposition parties used Facebook to organize a strong showing in the 2013 elections, Hun Sen turned to the tool to consolidate his slipping hold on power. In this he was greatly aided by Fresh News, a Facebook-based political tabloid that is analogous to far-right partisan US news sources like Breitbart; which acted as a literal stenographer for Sen, transcribing his remarks in "scoops" that vilify opposition figures and dissidents without evidence. Sen and Fresh News successfully forced an opposition leader into exile in France, and mined Facebook for the identities of political opponents, who were targeted for raids and arrests. 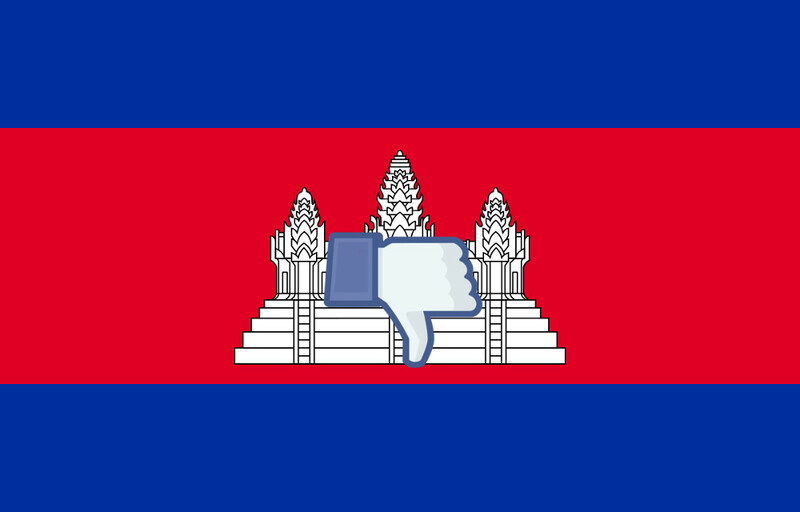 The Cambodian government has cultivated a deep expertise in Facebook's baroque acceptable conduct rules, and they use this expertise to paint opposition speech as in violation of Facebook's policies, using the company's anti-abuse systems to purge their rivals from the platform. Offline, the government has targeted the independent press with raids and arrests, shutting down most of the media it does not control, making Facebook -- where the government is able to silence people with its rules-lawyering -- the only place for independent analysis and criticism of the state. Then, last October, Facebook used Cambodia in an experiment to de-emphasize news sources in peoples' feeds -- a change it will now roll out worldwide -- and hid those remaining independent reporters from the nation's view. Opposition figures have worked with independent researchers to show that the government is buying Facebook likes from clickfarms in the Philippines and India, racking up thousands of likes for Khmer-language posts in territories where Khmer isn't spoken. They reported these abuses to Facebook, hoping to get government posts downranked, but Facebook executives gave them the runaround or refused to talk to them. No action was taken on these violations of Facebook's rules. Among other things, the situation in Cambodia is a cautionary tale on the risks of "anti-abuse" policies, which are often disproportionately useful to trolls who devote long hours and careful study to staying on the right side of the lines that companies draw up, and scour systems for people they taunt into violations of these rules, getting the platforms to terminate them. When ordinary Facebook users find a post objectionable, they click a link on the post to report it. Then a Facebook employee judges whether it violates the platform’s rules and should be taken down. In practice, it’s a clunky process that involves no direct communication or chance for appeal, and the decisions made by Facebook can seem mysterious and arbitrary. But for the Cambodian government, that process has been streamlined by Facebook. Duong said every couple of months, his team would email an employee they work with at Facebook to request a set of accounts be taken down, either based on language they used or because their accounts did not appear to be registered to their real names, a practice Facebook’s rules forbid. Facebook often complies, he said. Clare Wareing, a spokesperson for Facebook, said the company removes “credible threats, hate speech, and impersonation profiles when we’re made aware of them.” Facebook says it only takes down material that violates its policies.